Part horror flick, part classic British comedy, Shaun of the Dead pulls off the difficult feat of being a reverent tribute to the George Romero Living Dead series, a relationship film, and a zombie picture rolled into one. It made you laugh, it made you cry, and it gave you new uses for a cricket bat. 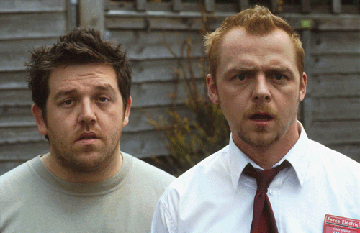 You may know the difference between hip-hop and electro, but how well do you Shaun of the Dead?